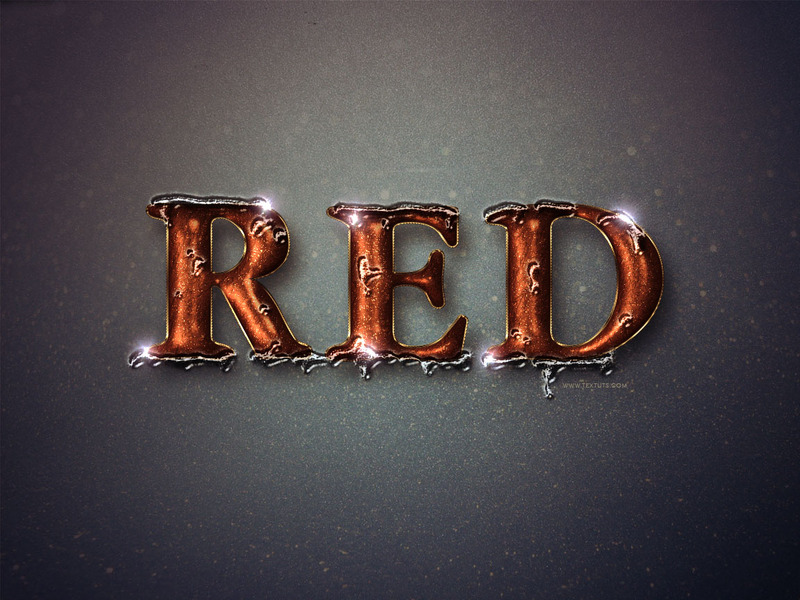 This tutorial will explain how to use multiple Layer Styles to create a velvety glossy glittering red text effect. Then, using some more Layer Styles and a simple brush, that text will be surrounded with melting ice. It’s an easy, very wintry-looking effect, that uses mainly the power of Photoshop’s Layer Styles. Let’s get started! Car Paint texture by Doodlee-a. texture 4 blue snow by i-see-faces. GlitteringMetal pattern. (Created using the Wet Stone filter by Vladimir Golovin). Fake brick pattern by Marat. Texturetastic Gray pattern by Adam Pickering. lens flare 10 by aloschafix. Create a new 1152 x 864 px document, place the Car Paint texture image on top of the Background layer, resize it so that it fits within the document, then merge it with the Background layer (Layer > Merge Down). Place the texture 4 blue snow texture on top of the Background layer, and change its layer’s Blend Mode to Soft Light. Double click the texture 4 blue snow layer to apply a Gradient Overlay effect, by changing the Blend Mode to Multiply and the Opacity to 95%, using a Transparent to Color gradient fill with the color #353750, changing the Style to Radial, and the Scale to 150. You can click and drag the gradient around as you like. This will add a nice purple-y tone to the background, and darken the corners a little bit. Create the text in All Caps using the font Garnet, the font Size 363, the color White, and the Tracking value 50. Duplicate the text layer, then change the copy’s Fill value to 0. Duplicate the copy layer 3 more times. This will create the main text layer with the color and drop shadow values. This will create the glittering part of the text. This will create the first gloss layer. This will create the second gloss layer. This will create the outer stroke. Create a new layer below all text layers and call it Shadow. Set the Foreground color to #a1a1a1, and pick the Brush Tool. Using a big soft round brush, start dotting the shadow shape below the text. When you’re done, change the Shadow layer’s Blend Mode to Linear Burn, and its Opacity to 10%. Create a new layer on top of all layers and call it Ice, then change its Fill value to 0. 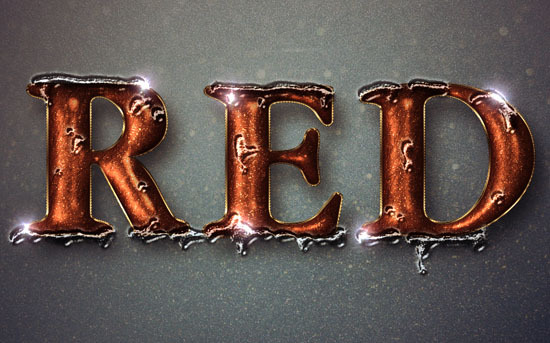 Start creating the ice around and inside the text. You can either click and drag, or just click once, to create the different parts of the ice. Place the lens flare 10 image on top of all layers and change its layer’s Blend Mode to Linear Dodge (Add). Go to Edit > Free Transform (or press Ctrl/Cmd + T), then resize, rotate, and place the flare as you like. When done, hit the Enter/Return key to accept the changes. Duplicate the flare’s layer, then transform it again for another letter, and so on until you have flares wherever you want on the text. Try not to create too many or very big flares. They’re meant to add a nice sparkle to the ice, not overwhelm the design. The Gradient Map will finish off the effect, enhancing the overall coloring, and adding a purple tone to the final result. I love this icy tutorial..great tuts and happy Christmas! It is the name of the gradient. Once you load the mentioned .grd file into Photoshop, you can hover on the loaded gradients in the Gradient Picker to see their names, then choose the one that has the name “Bronze Br44”. Hope this helps. If you still can’t find the gradient, please feel free to leave a reply. I think it’s in the METALS.grd one. Hope this helps. thank you very much, a well explained tutorial. If you mean that you get the images but not the patterns, then please check this link as it might help you with that. I used your tutorial to springboard a text look I created for an ad. I thought I’d share. Your tutorial inspired me, thank you! I’ve just checked it out and it works fine for me. What happens when you try to download it, please? Very nice outcome, well done!